Dustin Martin was born in Grants, NM and has been a resident of the Dallas-Fort Worth area since 1996. 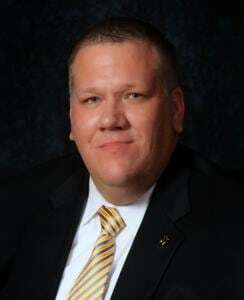 He is a 1997 graduate of Dallas Institute of Funeral Service. Since an early age, Dustin has had a deep passion for the funeral industry. “It wasn’t until my father passed away that I witnessed firsthand the value of a compassionate funeral director and their role in creating a funeral service to honor a life that was lived. I was 12 years old when my father passed away and had never been involved with the death of a loved one until then. The funeral director took my Mother’s hand and walked her through the entire process, dedicating himself to the needs and wishes of my family. I have wanted to be a funeral director all of my life, but it was this act that flamed my passion and my love for the funeral industry”. Today Dustin has been a licensed funeral director for over two decades. He has assisted hundreds of families honor the life of their loved ones by creating a meaningful, memorable service that reflects the life of the person that lived. “I have been blessed in my life to achieve my life-long dream of being a funeral director. I thank God every day for letting me provide a compassionate service that I have always dreamed of doing and the opportunity to help those that need me the most. I have been divinely favored”.